Council Member Thomas Vanover and his wife have been Springdale residents since 1982. Council member Vanover was first elected to Springdale City Council in November 1993. Prior to serving on City Council, Mr. Vanover served on several Boards and Commissions of the City. 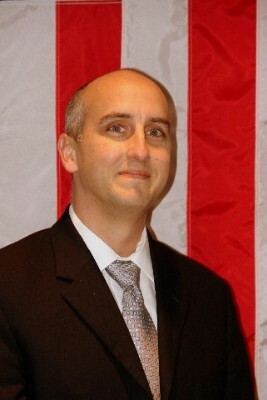 During his tenure of serving on City Council, Mr. Vanover has represented City Council for several years on the Springdale Planning Commission and has given his time and dedication to practically every committee of City Council including Public Utilities, Capital Improvements, Public Works, Rules and Laws and the list goes on. Not only has Mr. Vanover served on these committees, but in several instances has served as Chair. Council Member Vanover has been a self-employed Electrical Contractor for over twenty (20) years and has a B.A. degree from the University of Cincinnati. He has been married for well-over 34 years to his lovely wife, Donna and they have raised their two children, Chris and Leslie, in the Princeton City School District. Council Member Lawrence Hawkins III has been a Springdale resident since 1980. He was elected in 2009 to represent the residents of District 1 and is now serving as Council-Member-At-Large. During his first term, Council Member Hawkins represented City Council on the City’s Board of Zoning Appeals and served on a number of City Council Committees (Rules and Laws, Public Relations, Finance). Prior to being elected to Council, Mr. Hawkins served six (6) years on the City’s Planning Commission. 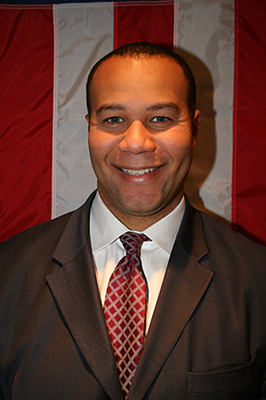 Council Member Hawkins is a practicing attorney in the Greater Cincinnati Area. He earned his B.A. degree in Political Science from Wittenberg University and his J.D. (Juris Doctorate) degree from the University of Cincinnati College of Law. Mr. Hawkins is a true product of the Princeton City School District having matriculated through the system beginning with Springdale Elementary, then on to Princeton Junior High School and culminating with his graduation from Princeton High School. Council Member Hawkins and his wife Nicky are the proud parents of two children. Mr. Hawkins delights in the fact that he is able to serve the community where he was raised and provide similar opportunities for his children to enjoy. Council Member Jeffrey Anderson has been a Springdale resident for most of his life, first growing up in the Heritage Hill area and later re-establishing his family in Oxford Hills. Elected in 2017, Mr. Anderson is currently serving his first term on City Council representing the residents of District 1. In this first term, Mr. Anderson was elected by his peers to serve on the City’s Board of Zoning Appeals. In addition, Mr. Anderson has also been appointed to serve on a number of Council Committees (Civil Service Review Board, Volunteer Firefighters’ Dependents, Public Utilities, and Public Welfare Safety and Education). Council Member Anderson is a retired technology strategy consultant having worked at or with leading companies including Fifth Third Bancorp, Kroger, Accenture, General Electric, Walmart, Procter & Gamble, and many others. Mr. Anderson is a graduate of both Princeton City Schools and Miami University, Ohio where he received a Bachelor of Science degree in Systems Analysis (Computer Science). Council Member Anderson and his wife Karen, also a graduate of Princeton City Schools, are the proud parents of three young boys (Nathan, Daniel, and Thomas) who are all working their way through Princeton City Schools (Springdale Elementary, Evendale Elementary, and Princeton High School). The entire family can often be found spending time outdoors whether enjoying a camping adventure, running, or celebrating their love for the Bengals. Prior to being elected to Council, Mrs. Ghantous was appointed to serve on the Springdale Planning Commission in December 2007. Until her election to City Council, Mrs. Ghantous had given a total of eight years of her time and energy to the Planning Commission. In 2011, Mrs. Ghantous was elected by her peers of the Planning Commission to serve as their liaison on the Springdale Board of Zoning Appeals where she served for four years. In addition to her service to the City of Springdale organization, Mrs. Ghantous also finds time to give back to other endeavors throughout the community. Carolyn regularly works to assist the Tri-County S.O.U.L. Ministries, Springdale Offering Support (SOS), the Springdale Garden Club, and the Springdale Elementary P.T.A. When Carolyn is not serving the community, she successfully works as a Realtor. This comes after working in the retail management industry for at least twenty-five years. Carolyn’s husband Nick and daughter Jamie (Flowers) are both Princeton City School District graduates, and their paths are being followed by both of Carolyn’s granddaughters who are also attending Princeton. Council Member Holly McQuillan-Emerson has been a Springdale resident since 1990. Elected in 2009, she is currently serving her first term on City Council representing the residents of Council District 2. During this time, Council Member McQuillan-Emerson has served on City Council’s Rules and Laws Committee, Public Utilities Committee, and Finance Committee. 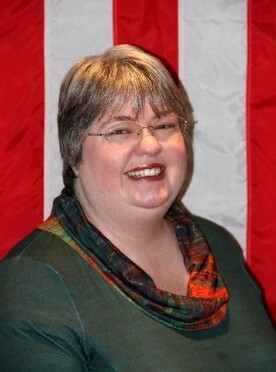 Prior to joining City Council, Mrs. McQuillan-Emerson was appointed to the Springdale Parks and Recreation Commission. Council Member McQuillan-Emerson is employed by Tri Health and is presently working at Bethesda North Hospital as a Charge Nurse. 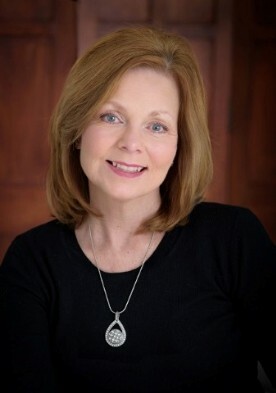 In an effort to preserve her skills, knowledge, and commitment to the nursing profession, Council Member McQuillan-Emerson remains a member of the Association of Women’s Health, Obstetric, and Neonatal Nurses. She studied nursing at the University of Cincinnati College of Nursing and is a 1981 graduate of Lakota High School. Council Member McQuillan-Emerson and her husband of twenty-three years, Bob Emerson, are the proud parents of two boys. Their oldest son attends Princeton High School and the youngest attends Princeton Middle School. The family attends Springdale Nazarene Church and has always found ways to make substantial contributions to the Springdale community. For many years, Council Member McQuillan-Emerson has been very involved in Springdale youth programs. She has served nine years as a SAY soccer coach and several others as a member of the Springdale Youth Boosters. Mr. Emerson served on the City’s Board of Zoning Appeals from 2004 until 2011. Most recently, the Emerson family (parents and boys alike) volunteered their time and efforts to help clean the City’s Beaver Run stream located in Chamberlain Park. In addition, they regularly volunteer to assist with the Springdale Junior Olympics and on an annual basis, the family participates in the “Pasta for Pennies” event, the “5K Run/Walk 4A Cause” fundraiser, and the “American Cancer Relay for Life” event. The later three programs benefit the Leukemia & Lymphoma Society or other cancer-fighting organizations. Council Member Dan Shroyer has been a resident of Springdale since 1966. 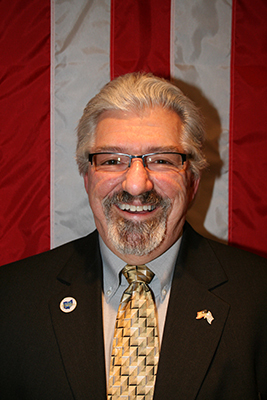 Elected in 2015, Mr. Shroyer is in his first term serving as a member of Springdale City Council. Prior to being elected to City Council, Mr. Shroyer spent over thirty-five years in service with the Springdale Fire Department. He held numerous increasingly responsible positions within the department, ultimately being appointed as Fire Chief in 2002. Dan served in the Fire Chief capacity until his retirement in 2012. During those many years of service, Mr. Shroyer attended the Ohio Fire Academy, the National Fire Academy, and the University of Maryland Staff and Command Program. To this day, he is a certified fire instructor and currently teaches various levels of fire training through the Great Oaks Vocational School System. Council Member Shroyer and his wife of thirty-nine years, Rhonda, are both graduates of the Princeton City School District. They raised their two sons in Springdale, both who are also Princeton School District graduates. Council Member Meghan Sullivan-Wisecup has been a Springdale resident her entire life as she was born and raised in Springdale. 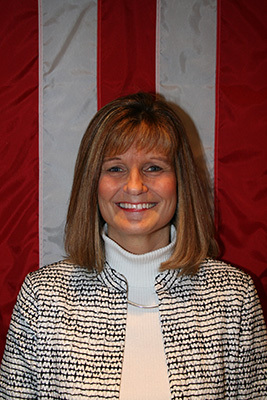 Mrs. Sullivan-Wisecup is serving in her first term as a member of the Springdale City Council after being elected in 2017. Prior to being elected to Council, Mrs. Sullivan-Wisecup served on the Springdale Board of Zoning Appeals. In addition to serving on that board, she also briefly served on the Springdale Parks and Recreation Commission. Mrs. Sullivan-Wisecup has dedicated a large part of her adult life volunteering her time and efforts towards the betterment of Springdale and the youth of this community. For the past thirteen years, Meghan has been an active participant in the Springdale Youth Boosters organization and has served as a coach at the Springdale Community Center for both youth soccer and cheerleading. Not only has Mrs. Sullivan-Wisecup given her time to the City of Springdale and its recreational opportunities, but she has also devoted a great deal of her time to the Princeton City Schools. Mrs. Sullivan-Wisecup has served on the Springdale Elementary School PTA as well as the Princeton Community Middle School PTA. When Meghan is not serving the City in her new role as a Council member or volunteering her time with the City or Princeton City Schools, she enjoys family time with her husband, Brian, and their two children: Becca who attends Eastern Kentucky University and Ian who attends Princeton City Schools.